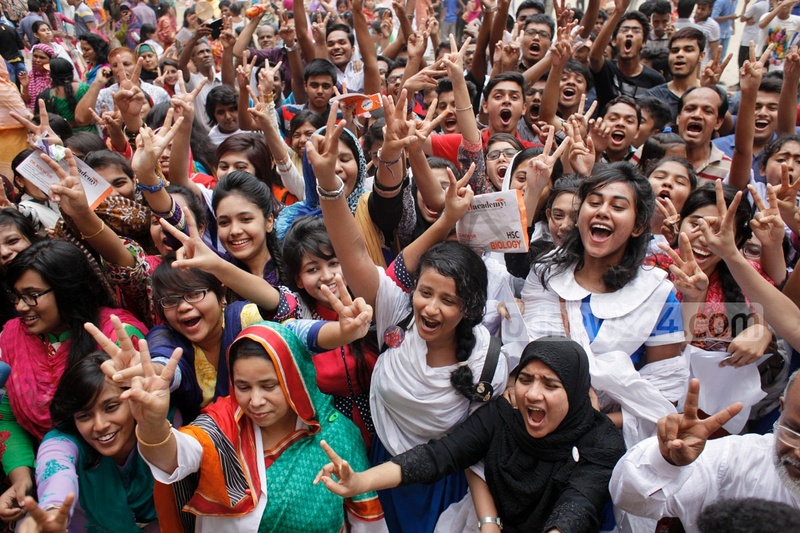 HSC Result 2016 and its equivalent exam results will be published on the 18th August. This year HSC and its equivalent exam started on 3rd April. Around 12 lakh 18 thousand 628 students sat for the exam in 452 different centers. Written exam was finished on 12 June after some delay due to cyclone Ruano and Union Council election. Practical exam was held during 13 to 22 June. Getting result in our country has always been kind of struggle. From PSC/JSC to Honours/Masters, there’s no public result that can be seen without shedding sweat. But who likes to wait on such a day? Today we are providing you with the information of getting result as fast as possible. There are 3 ways to get HSC result 2016 – Website, SMS, Institution. And enter your Roll, Board, passing year, captcha and click “submit”. Usually the website becomes almost inaccessible when the result publishes. But fortunately for us, it is getting better year after year. We can hope that, likewise SSC result 2016, getting HSC result 2016 won’t cause any trouble. If you can’t access education board’s website or can’t get result even after accessing the website, you may consider about SMS. SMS often takes time. But you can always try your luck. Here, “DHA” is for Dhaka board, “123456” is roll and “2016” is passing year. Here, “MAD” is for Madrasah board, “123456” is roll and “2016” is passing year. Code for all boards : DHA(Dhaka), CHI(Chittagong), COM(Comilla), RAJ(Rajshahi), JES(Jessore), BAR(Barisal), SYL(Sylhet), DIN(Dinajpur), MAD(Madrasah) and TEC(Technical board). The 3rd and last way to get result is to get it from your institution. Colleges publish result in their notice board after getting it from education board. If you can’t get result through any ways above, you can go to your college and wait for it to hang the result in the notice board.